You say you want to build a 1/48 Marauder? You’ve been warned. In the early summer I was contacted about building a Martin B-26 Marauder as “Flak Bait” for a family friend who wanted it as a Christmas gift for a family friend of his (this family friend had actually flown on Flak Bait in December 1943). After discussing some general parameters, such as scale, detail level, time investment and cost, we were set. I found the options in 1/48 were a Monogram kit from 1978 and an Escii kit. Having relatively recently built the re boxed Monogram 1/48 B-25 from the same vintage, I thought I knew what to expect. But, a Google search revealed there were only a half dozen or so build reviews, mostly from the early 2000s, and this lack of return was unusual if not concerning. I ordered the Hasegawa boxing of the same. Thus began an odyssey that would last six months. I began, as per usual, by reading through the few builds I could find of the Marauder online, and found that most builders, as per usual, complained of some considerable trouble with some part of the build. The gripes seem to cluster around the tail to fuselage joint and the issues with the clear parts in that area; the engine nacelle to wing joint; the lack of guidance or space to effectively fit enough weight forward of the gear to make it sit on its nose; the fit of the multi part cowlings, and; late 1970s soft detail (generally correct shape, raised panel lines, some detail inside but nothing spectacular). For the first time in memory, and surprisingly, all reviews were correct. Not only correct, but they seemed to actually be too kind to the overall build process of this kit. I’m used to taking the typical modern review and discounting most of it as incessant whining about how [insert kit here] isn’t on par with one of Tamiya’s recent master works that fall together leaving the modeler as little more than a painter of a three dimensional object. No, this kit would test almost every skill that I had. The oddest thing about this relic is that a beginner with little experience and time could end with something that reasonably resembles a Marauder that would look to the uninitiated as being similar to the product that they would get out of a Tamiya Mustang/Spitfire/BF-109 in the same scale. 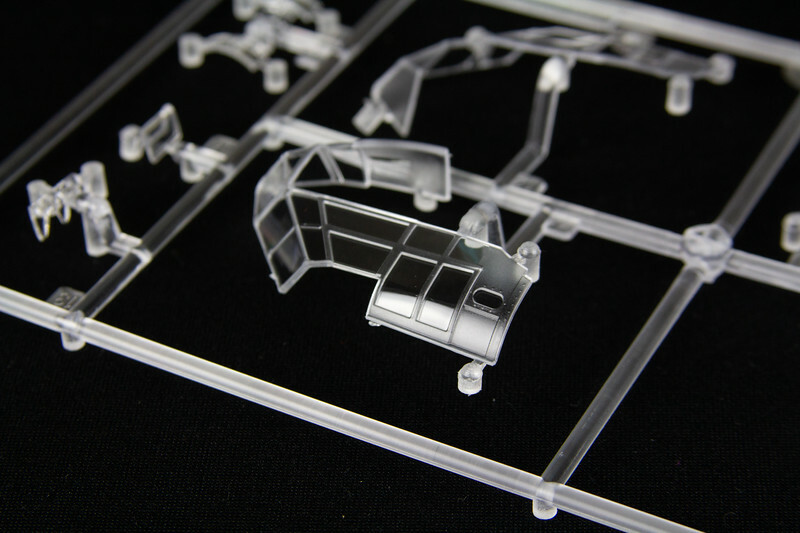 Conversely, to build this kit into something that an experienced modeler would get out of a similar Tamiya kit, takes an intense investment in time, effort, money, patience, and tears. I’m not sure I succeeded, either. I could spend paragraphs griping about all of the issues I had, but I will just try to boil it down. Here are the main issues, and how I believe the intrepid modeler can deal with each. Cowlings. Throw the kit parts away and look for the Loon Models corrected version. You’ll still have some sanding to do and careful fitting to get it to join the nacelles properly, but you won’t have to deal with trying to maintain the shape of the cowling after filling the huge gaps left by Monogram. Note the fantastic Quickboost engine above the Loon cowling. 2. The nacelle to wing joint. Good luck. You’re just going to need a great deal of patience to fill and sand this area. 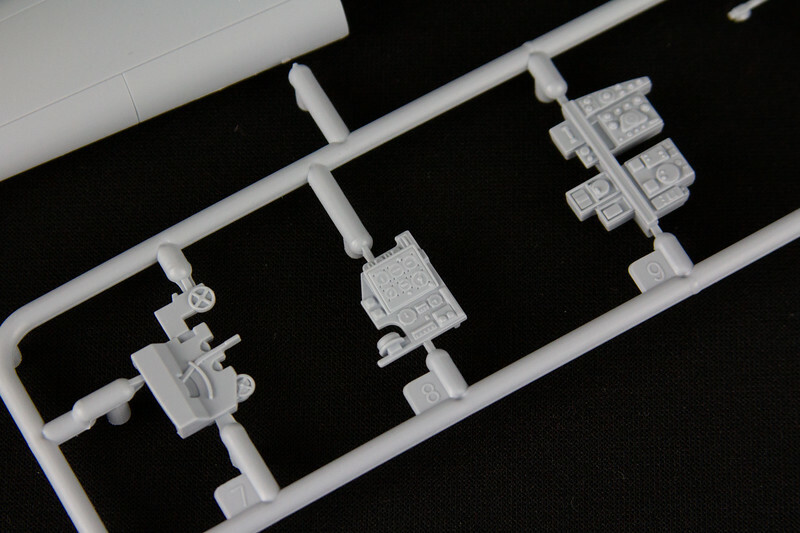 As I had decided to scribe the whole model, I wasn’t worried about obliterating panel lines here. I used my trusty quad grit sanding stick, sanding sponges, several layers of gap filling super glue followed by a couple layers of Bondo to assure a smooth transition. Patience and time here will go a long way to assuring the model builds into something nice. Without a great deal of work, especially around the nacelle tips that in places had a gap of a 1/4″ or more, there is no way to build the model without considerable gaps and steps. 3. Weight. I bought three bags of fishing weights and installed one each in the front of each nacelle and behind the cockpit bulkhead in what would be the radio room. Luckily I ended up with a spare kit, and used the spare cockpit bulkhead as a rear face on the weights in case anyone could actually peer into the radio room through the two tiny windows. As I found in the completed build, you can’t see anything inside there, so don’t be too worried if you don’t have an extra kit. The good news is it sits on its gear perfectly (I would also suggest using SAC metal landing gear to help bear the increased load). 4. 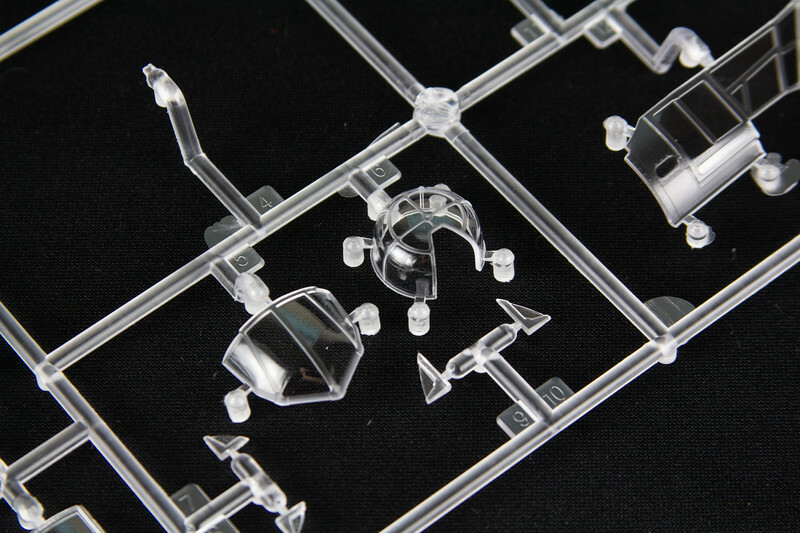 Fit of clear parts. If you aren’t already comfortable sanding and polishing clear parts, you will be after this build. Beyond the canopy, nose cone, and tail gunner’s glass, there are no fewer than 8 other windows that will need to be installed before you close up the fuselage. Most of these clear parts had sizable gaps around them requiring some gap filling super glue and lots of sanding and polishing to return them to clarity (be careful not to sand flat spots on the fuselage). The canopy, nose cone, and tail gunner’s glass all needed the same treatment. In fact, when I was done with the canopy glass I had sanded and polished off all of the raised detail. To get the windows in place on the canopy, I carefully created the canopy ribbing with Tamiya tape and used Eduard’s & Montex masks as guides. It took a great deal longer than I had expected and the results were adequate. There were other more minor issues, to be sure. 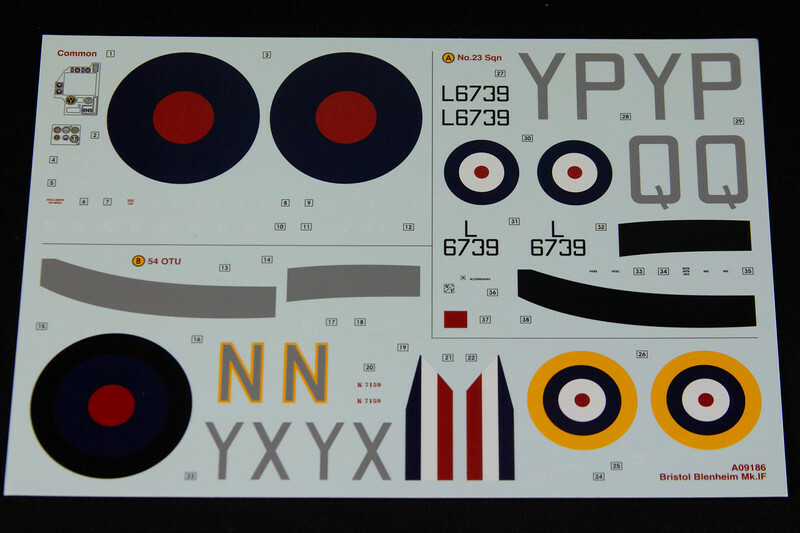 -The kit decals were 13 years old and had been destroyed necessitating finding the aftermarket decals for Flak Bait. -The wings are supposed to have a 1 degree anhedral but sag a bit if allowed to rest on the kit spars. I got as close as I could. -The tail to fuselage joint is an odd step. Use your imagination here when trying to figure out a solution. I’m not sure that I did. -The bomb bay doors were clearly not designed to be displayed in the closed position. Spend the extra time to build out the bomb bay with the doors open. 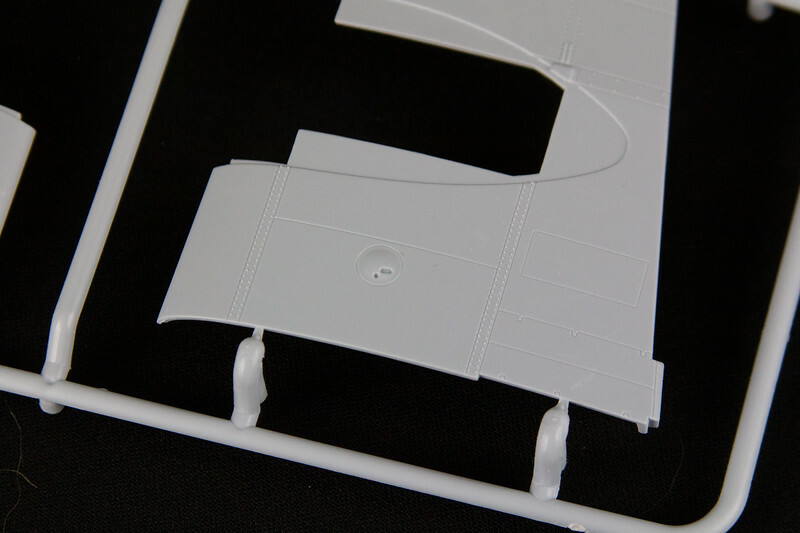 It will take less time than trying to fill the odd gaps left by the kit parts fitting into the openings molded into the fuselage. Also, the crew apparently accessed the rear of the ship through the bomb bay so sitting with the doors open could be an accurate portrayal of a parked Marauder. -The landing lights are laughable but provide a good base for some scratch building. Check your references and go to town. This was a process that just took time, patience, ingenuity and some old fashioned luck. 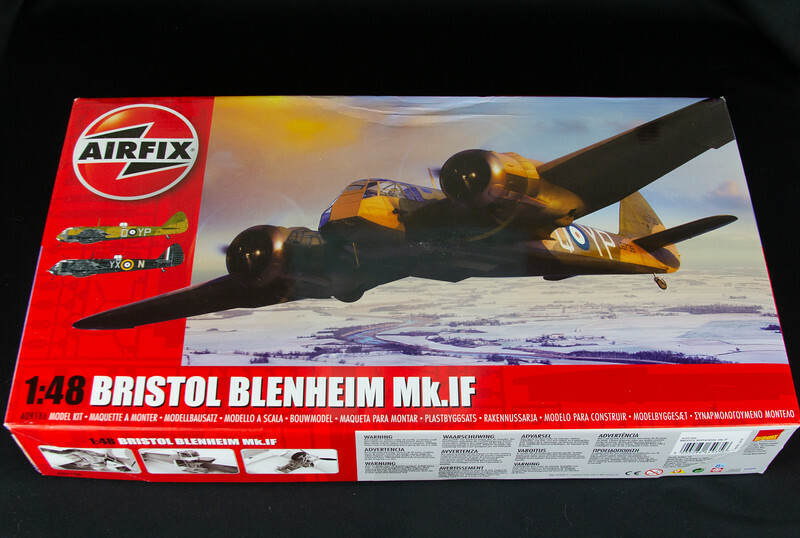 Unless you are an absolute beginner and gaps and weird fit aren’t an issue, or you are a relatively skilled B-26 fanatic and must build a B-26 in 1/48 scale, I would suggest you steer clear of this kit. Anything in between will end in tears and disappointment. 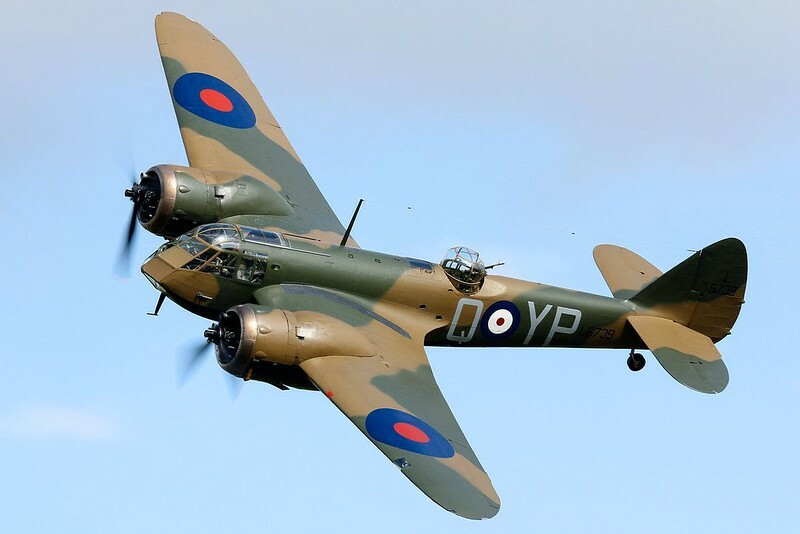 Speaking of tears and disappointment, the day after I delivered this kit to my customer, who was going to deliver it to the man who flew on Flak Bait in December 1943, I was told that the latter had been admitted to hospice with only days to live. The intended recipient might not ever get to see the model built in his honor. To Mr. Greer, and those quiet souls like him who risked and gave so much in their youth, I say godspeed and thank you for a life well lived.